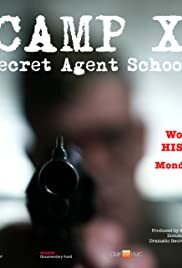 The story of how a secret agent training school established in Canada during World War Two - and the training manual created specifically for it - laid the foundations for modern espionage in North America and gave birth to the CIA. When I was a little boy (1962), my grandfather loaned me this massive book on the history of WW2. I have been a WW2 buff since then. I watch an enormous amount of WW2 documentaries and when I stumbled onto Camp X I watched both parts immediately. Absolutely one of the best documentaries I have seen so far. When I choke up seeing actual men and women who served in the war documenting their experiences, I know the series was very well done. Thank you veterans for your courage.